Though breathing is a natural process for existence, we fail to pay attention to it and do not perform it in the right way. Breathing the right way can bring in a lot of positive changes from the inside. Pranayama, or the technique of breathing in yoga, consists of a series of breathing exercises to stay in vibrant health. Respiration is a simple process of inhaling oxygen and exhaling carbon dioxide. But most of us fail to do it correctly! We are so engrossed in our office work, family and daily chores that we ignore the way we breathe. Have you ever observed how you breathe? Most of us breathe fast and shallow. 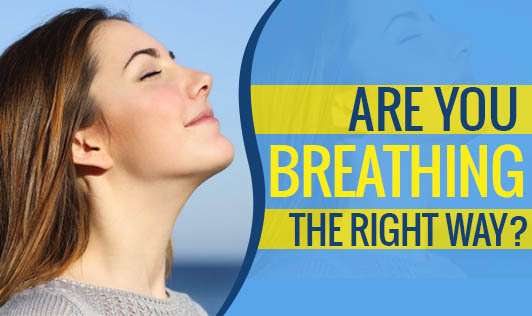 Fast and shallow breathing involves only a fraction of our lungs. This improper breathing contributes to various health issues like heart diseases, fatigue and sleep disorders. Improper breathing can lead to breathing problems and can make one restless. Pranayama can be started by any person of any age with good health; and practicing it daily for thirty to forty five minutes can bring in a lot of positive changes to our health. Choose a clean place and environment, free from distractions to practice Pranayama. Do you know how pranayama improves our health? By practicing Pranayama we can learn to breathe slow and deep - the right way. It detoxifies from within the body and increases immunity against diseases. Correct breathing improves digestion and metabolism. Pranayama improves your concentration and focus by de-stressing and relaxing your body. If you are a beginner, then learn it from a trained person till you learn to do it skillfully.